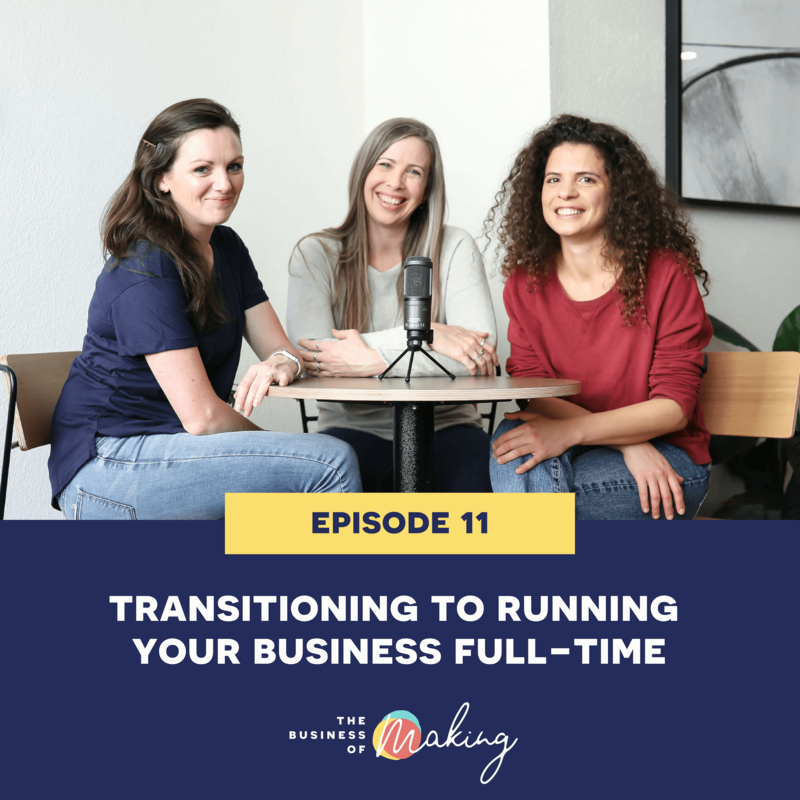 If you’ve started your handmade shop to eventually turn it into a full-time business, this episode is for you. This week, on the Business of Making Podcast we share our own experiences going from side-hustle to full-time business owner and what we learnt along the way. Should you keep your day job? Quit and go all in? And when do you know that you are ready to “take the leap”? We hope you enjoy this episode – when you’re done listening, make sure to come and let us know what you thought in our free Facebook group! In case you missed the big news, we announced a few episodes back that we are going to organise in-person Mastermind events in a few cities in Australia this year, and we’re pretty excited about it (to say the least!). These events will be an opportunity to work closely with the 3 of us, in a small group setting. Think super actionable, “let-s-get-it-done-together-right-now” events. We need you to help us tailor this event to what YOU really need to work on in your handmade business + you’ll get to help us pick which cities we should travel to! Thinking about working on your business full-time? We have to admit that it is a big risk especially if you’re considering quitting your job to be able to do it. Let us help you by sharing how we are doing it, what our struggles and challenges are, and how to move forward and achieve your goal. Adjust your timelines and don’t rush into things.